Feline osteoarthritis is an autoimmune disorder caused by infection, injury, or degenerative problems in the joints. Feline osteoarthritis mainly caused due to the genetic changes, injury, abnormal joint loading, obesity, and acromegaly. The symptoms associated with the feline osteoarthritis include pain, swollen joints, loss of muscle mass, and limited movement among others. Diagnosis of feline osteoarthritis is difficult and it cannot be diagnosed with normal symptoms. However, the disease can be identified by the Radiography (X-rays) which can reveal the joint abnormalities and bony growths in feline. Feline osteoarthritis can be treated with physical exercise, anti-inflammatories, and surgical treatment among others. 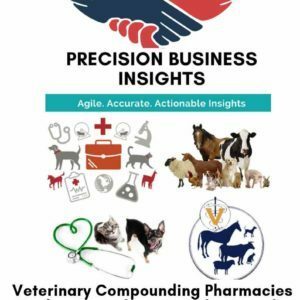 Increase in the prevalence of obesity in felines, lack of nutritional feed, increase in the R&D activities for the innovation of newer drugs for feline arthritis, and rise in feline adoption rate are anticipated to fuel the feline osteoarthritis management market. Moreover, ongoing clinical trials for feline osteoarthritis treatment, rise in animal welfare expenditure, and increase in the number of elder cats (cats with more than 7 years are more prone to osteoarthritis disease) are expected to propel the feline osteoarthritis treatment market over the forecast period. However, stringent regulatory policies for the approval of veterinary medicines, complexity in early-stage disease diagnosis, less number of treatment options in the market, and lack of awareness about the disease in rural areas are the factors restraining the growth of feline osteoarthritis management market. Feline osteoarthritis market is growing at a significant CAGR owing to increase in the feline adoption rate. Increase in the prevalence of osteoarthritis in felines (according to international cat care, about 90% of felines above 12 years of age are affected with osteoarthritis), rise in R&D expenditure for the newer drugs innovation are anticipated to fuel the feline osteoarthritis management market. 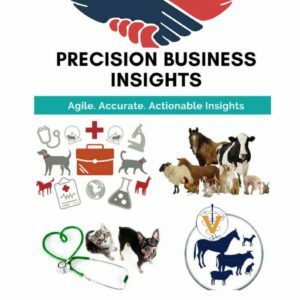 Moreover, acquisitions and mergers, collaborations, development of pipeline products, product approvals, and product launchings are the strategies followed by the companies for increasing their market revenue share in feline osteoarthritis treatment market. For instance, in December 2016, Nexvet Biopharma initiated the pivotal efficacy study of Frunevetmab, a monoclonal antibody used in the treatment of feline osteoarthritis. Feline osteoarthritis management market is segmented into North America, Europe, Asia Pacific, Latin America, and Middle East and Africa. North America osteoarthritis treatment market accounted for significant share in global feline osteoarthritis market owing to increase in the feline adoption rate, collaboration between the companies for R&D activities, and increase in the animal welfare expenditure in the region. Europe osteoarthritis treatment market growing at significant rate, which is attributed to increase in the prevalence of feline osteoarthritis, rise in pet per capita expenditure, and high awareness about the veterinary diseases among veterinary physicians in the region. 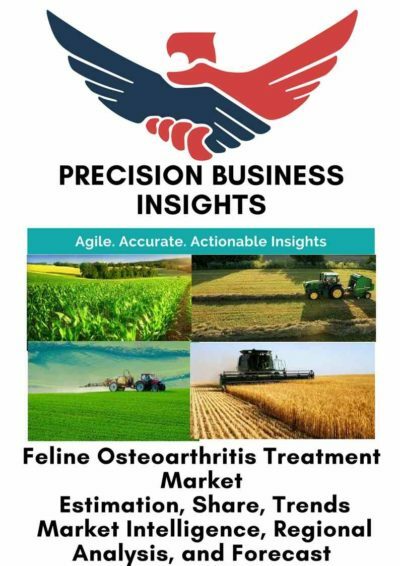 Asia Pacific osteoarthritis treatment market is an emerging market for market players due to lack of awareness about the feline nutrition feed in underdeveloped regions, increase in the feline adoption rate, and rise in per capita income driving the market for osteoarthritis treatment in the region. Some of the players in market are Zoetis Inc. (U.S.), Bayer Animal Health (Germany), Nutramax Laboratories (U.S.), Doctors. Foster and Smith (U.S.), VetriScience Laboratories (U.S.), Hill’s Pet Nutrition, Inc. (U.S.), and Garmon Corp. (U.S.) to name a few.